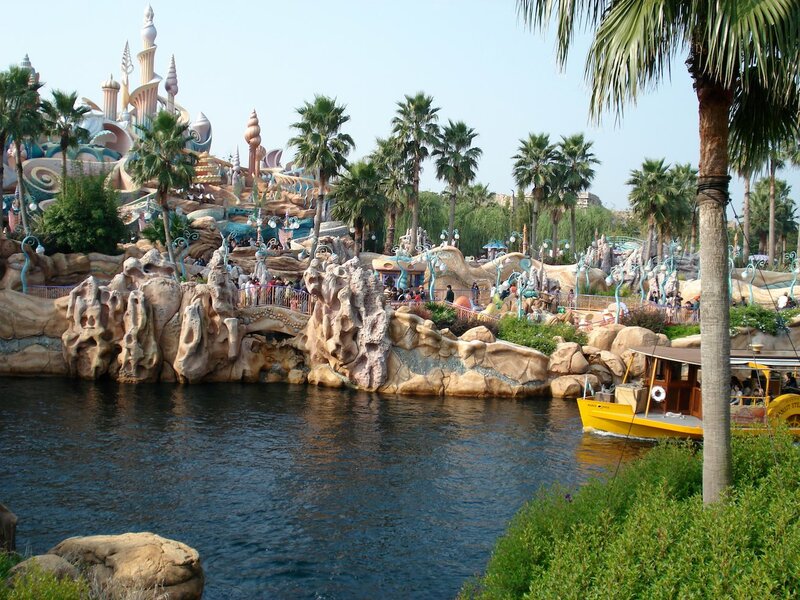 Tokyo DisneySea opened on September 4, 2001 and is the second park to be built at the Tokyo Disney Resort east of Toyko in Chiba Prefecture. While Tokyo Disneyland was built in the image of the American theme park, this one contains seven completely new ports of call inside a world of aquatic wonder. In each area (or port) the Disney Imagineers were clearly inspired by the ocean theme and the freedom to redesign Disney's characters or drop them entirely to fit best with the themes of the stunning locations they were creating. What was a castaway idea for a oceanside theme park in California has become one of the most visited theme parks on Earth. It and Tokyo Disneyland are the only Disney theme parks not owned by Disney. The Tokyo Disney Resort is owned and operated by The Oriental Land Company which licenses Disney's characters. The park's central themes are exploration, discovery and adventure. Six ports are laid out around Mount Prometheus which is the seventh port called Mysterious Island. The mountain is the same height as Cinderella's Castle. Water connects all the ports around Mount Prometheus and its in the large harbor in front of Mediterranean Harbor where all the big shows take place. The park could be describe as more adult orientated but there are family friendly rides and shows spread across the park. In actual fact, most of the rides themselves aren't much faster or scarier than ones found in Disneyland. It is the presentation and well developed back-story of the rides that will appeal more to adults. The other difference is that beer, wine and other drinks are sold at many of the restaurants across the park. Mediterranean Harbor Fortress Explorations New discoveries await around every corner. Mysterious Island Journey to the Center of the Earth Fast roller coaster inspired by Jules Verne's books. Mermaid Lagoon Mermaid Lagoon Theater Become part of Ariel's world with this show. Arabian Coast The Magic Lamp Theater Genie and his new assistant put on a wild 3D show. Lost River Delta Indiana Jones Adventure Journey with Indy to find the crystal skull. Port Discovery StormRider Take a wild ride into a Typhoon on a mission to stop it. American Waterfront Tower of Terror Hotel Hightower awaits its next victims. 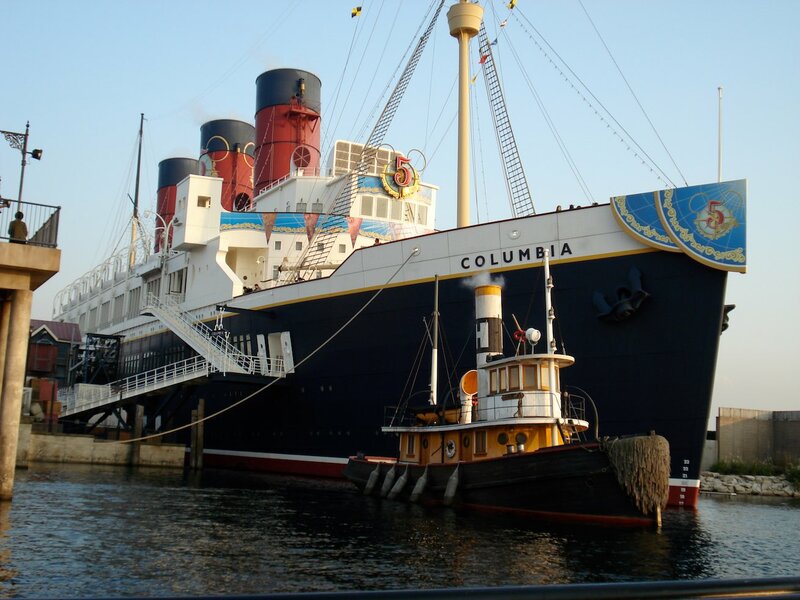 Tokyo DisneySea is the only Disney park with a hotel, the MiraCosta, inside the park. 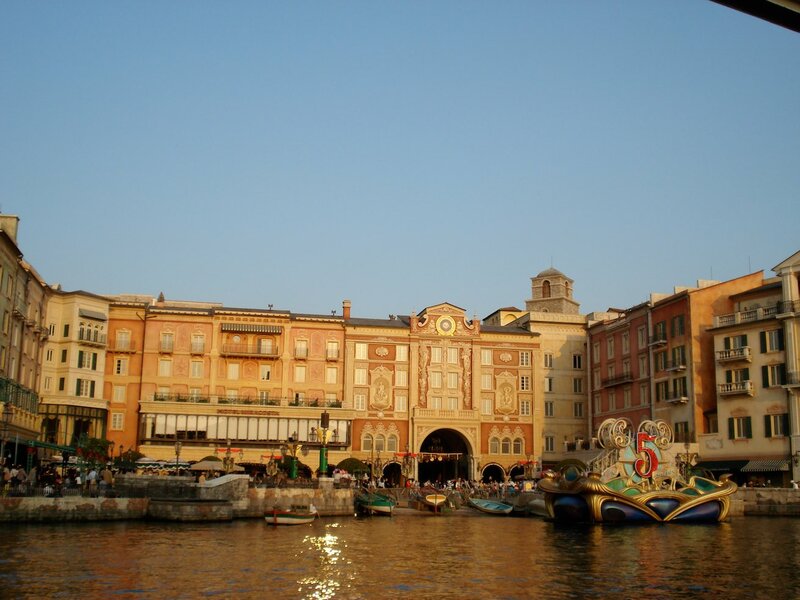 The hotel's facade is creatively camouflaged as part of the Mediterranean Harbor so well that you might not even notice it if you didn't know it was there. 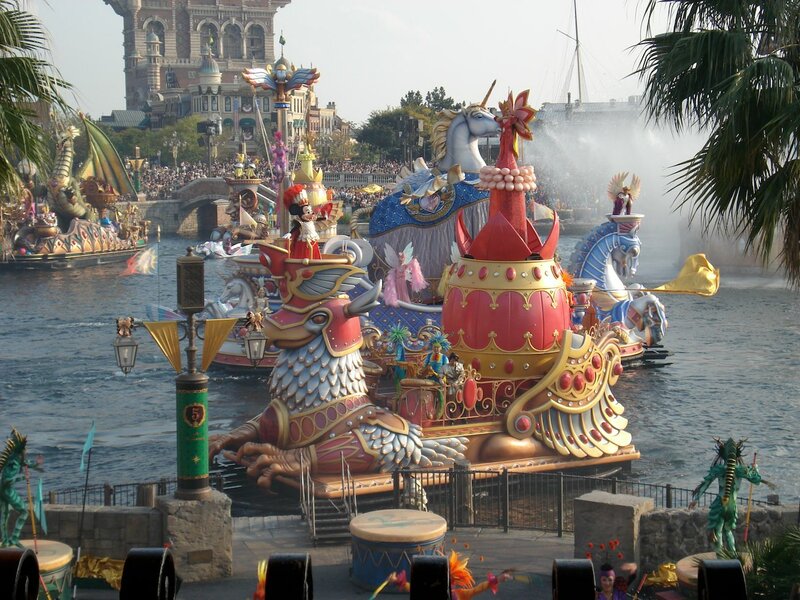 The original Tokyo Disneyland has been highly successful and Tokyo DisneySea builds upon it with a complementary park that nearly perfectly balances having enough Disney characters with striking out in a bold new direction. 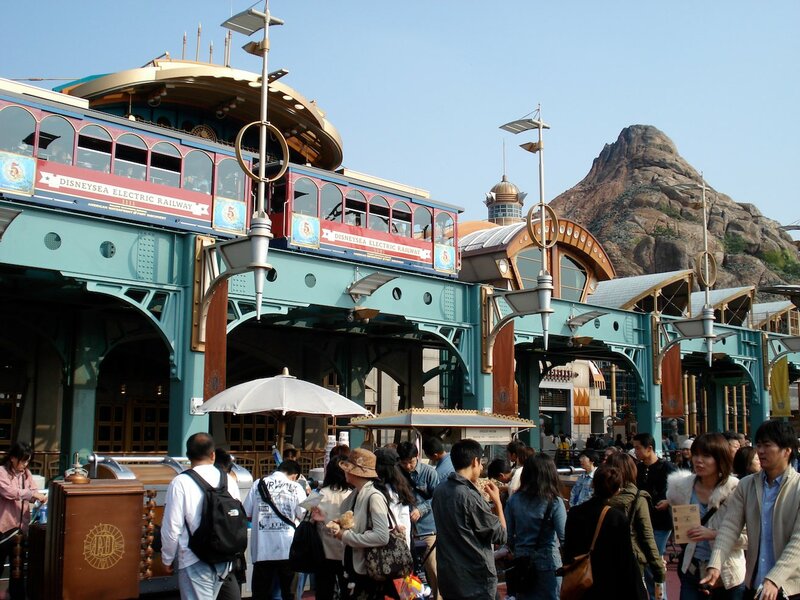 The lack of preexisting movie or character connections with Mysterious Island, Mediterranean Harbor, Port Discovery and American Waterfront makes them lack the initial and immediate emotional connection the other ports have. On the other hand, Pirates of the Caribbean was just a ride until not long ago. The park's design is pleasing from every angle and arguably the best in the world. It is a young pretty face, though. Some of the park's ports are a little light on rides or the rides are missing characters. For example, American Waterfront has one and Mediterranean Harbor has none. Scandalously, Genie has apparently ditched Aladdin and Jasmine and runs Arabian Coast with Sinbad. 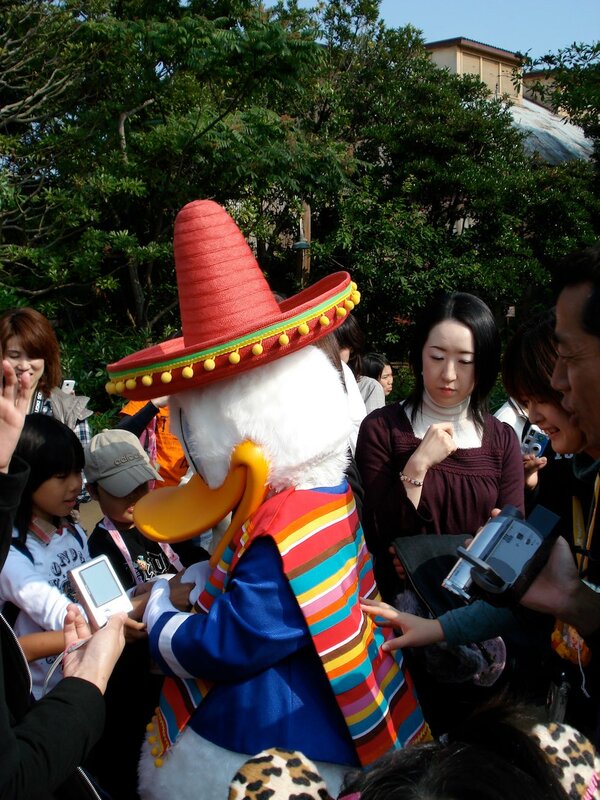 On a whole, there is a bigger emphasis on live shows at DisneySea. People looking for a place to bring the Disney characters they remember from the movies to life should stick to Tokyo Disneyland. 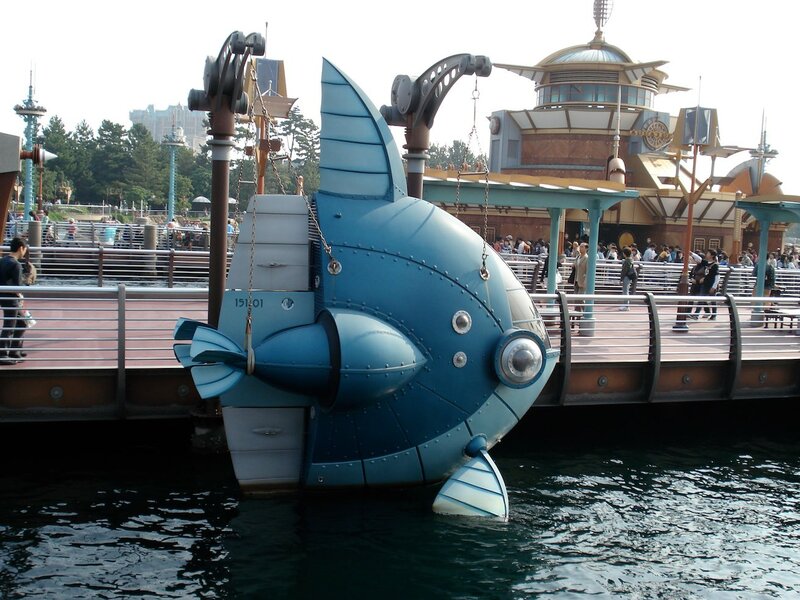 The one exception is the Little Mermaid which is only at DisneySea. 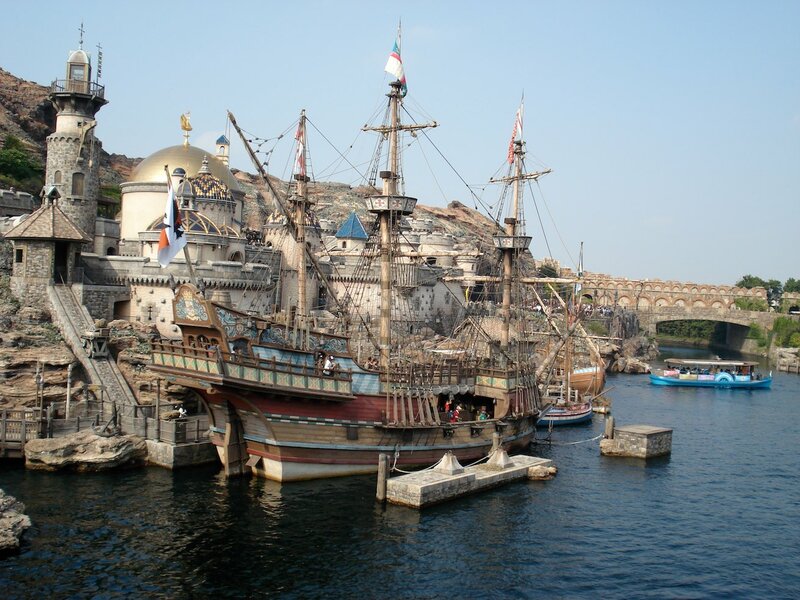 The other characters are extended well beyond the films to match the design of Tokyo DisneySea. The two are really complementary parks so its really up to what kind of experience you want if you can't visit both. 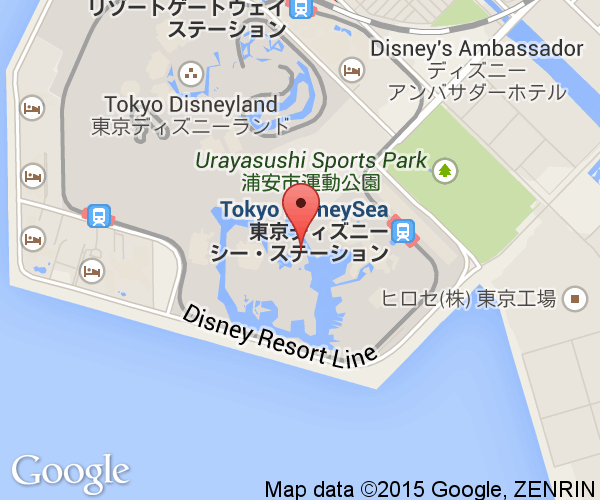 The original Tokyo Disneyland is located beside Tokyo DisneySea. Two day passports can be bought to visit one and then the other on the next day. The main way to reach DisneySea is from JR Tokyo Station. The Keiyou Line (京葉線) trains go directly to JR Maihama Station where the main entrance to Tokyo Disney Resort is. This line has an underground platform which is a fair distance under and away from the main platforms. Follow the red signs to get to the platform. It takes about 15 minutes to get to Maihama. Please check the Disney website for how to reach the park from other places. The language spoken in Japan is Japanese, but not knowing it isn't a barrier to having a good time in the park. Every sign and announcement is in Japanese and English. This is as much for visitors from other parts of Asia as it is for native speakers.